In 87 I moved to Canada ending up studying music at Vanier college in Montreal doing everything from jazz and bigband to sessionwork both on TV and in the studio. After returning home I joined Déjà vu (funkymetal) in 93 and sat in on several gigs with whoever needed a bassplayer. In 97 I met Stian, our drummer who at the time was playing with Trivial Act (technical metal). I joined them as well gigging for three years. 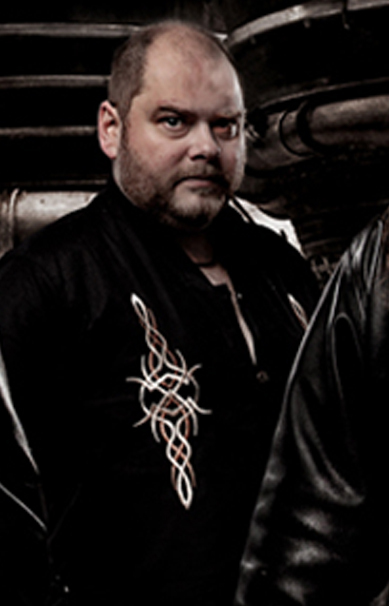 Stian and I then moved on to team up with Nils, Ronny and Jørn Viggo to form Pagan’s Mind. Apart from PM which is our main priority I have done studiowork for Shine Dion (folk rock) and several jazz and stagebands. At the same time Stian and I also gigged with Dimension F3H for a couple of years. Other merits include gigging with Jørn lande on a regular basis as well as teaching electric bass. I have no words to my fans…..